One thing we do as an SEO company in Toronto is look at what the biggest marketing trends will be in the upcoming year. Your business could be using an SEO strategy that works well today but that could be out of date by this time next year. The truth is that digital marketing and SEO are evolving fields with constant new developments and trends. If you want your business to stay ahead of the curve, you have to know what digital marketing trends will be big in 2016. We discuss seven of the main ones below. Video is now king. Watching videos is the number one online activity for teenagers, surpassing even social media use. Not only are YouTube videos racking up hundreds of millions to billions of views, but social networks like Snapchat, Facebook, and Vine are relying on videos even more. In 2016, it will be crucial for marketers to use video as part of their strategy, particularly if they are targeting younger demographics. Many marketers may prefer to not even speak the name, but AdBlock is being used by Internet users more and more. This means that traditional advertising methods are becoming less and less effective. Native advertising—that which is integrated into the publication using its customary style—will gain more prominence in 2016. So, for SEO in Toronto and elsewhere, it’s more important than ever to use native advertising. Now that social media has become as big as it has, more attention is being given to monetizing from these platforms, which, in turn, increase options for marketers. Facebook has made numerous changes to its site making it an increasingly effective tool for marketing. Marketers can now use Facebook Messenger to directly contact consumers while livestream videos give businesses new opportunities to engage their customer base. Mobile devices are now more commonly used for accessing the Internet than desktops. This trend will only continue thanks to the increase in the number of people using their tablets, smartphones, and other mobile devices for their day-to-day Internet needs. Marketing will have to be geared more towards mobile devices in 2016 and marketers will have to explore novel ways of using mobile apps for advertising, particularly when targeting younger demographics. With more and more web sites and content available, many Internet users are starting to become overloaded and fatigued with excess information. This is why real-time marketing that can be personalized and directed at specific people will become an effective option in 2016. Marketers will have to explore ways to stand out from the crowd. With the information overload from the variety of online web sites and content, Internet users are beginning to tune out a lot of online marketing and stick with trusted sources that add value to their lives. It will be crucial for marketers to foster meaningful connections and establish trust with their audience. Social media and direct messages should continue to grow over static advertisement. This last trend may not be a dominant one in 2016, but it will start gaining prominence in the coming year. There are a variety of new technological developments on the horizon: Apple Watch and other wearable technology will grow in use and become more desirable platforms for marketers in the years ahead. As well, several virtual reality devices are set to make their debut in 2016. While it will take some time for them to grow in popularity, they will eventually be important platforms for marketers to use. 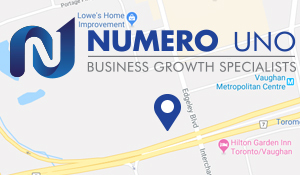 Numero Uno Web Solutions is a provider of search engine optimization (SEO) in Toronto, as well as mobile optimization solutions and content marketing for startups and small companies from all industries and fields. As a trusted SEO company, we stay on the pulse of industry changes and adapt our practices to produce quality SEO and content marketing plans to fuel the growth of businesses across communities. Contact us to learn more about content marketing techniques and how we can help improve your search profile.